What is the best way to select a personal injury attorney? The best way to select a personal injury attorney is to obtain the recommendation of other members of the legal community. The other lawyers still know which personal injury attorneys do a good job for their clients. Most of my clients are referred to my law firm by other East Texas attorneys. You should also look for a personal injury attorney that is Board Certified in Personal Injury Trial Law. Although there are many fine attorneys that are not Board Certified, an attorney who is Board Certified in Personal Injury Trial Law has shown a commitment to representing injured people. 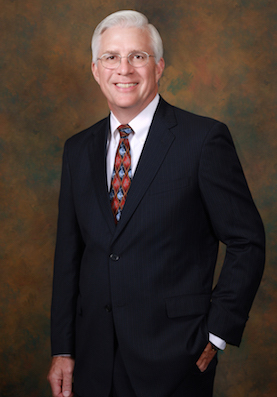 I have been Board Certified in Personal Injury Trial Law by the Texas Board of Legal Specialization since 1990. Look for a personal injury attorney who has years of experience. It takes years to learn how to handle all the insurance company games and tricks. They don't teach you these things in law school. I have been handling personal injury cases in East Texas since 1985 and have handled thousands of individual cases for my clients. Look for a personal injury lawyer that goes to trial. Even if you don't want to go to trial you are better off with a lawyer who has established himself in the legal community as a lawyer who takes his cases to trial if the settlement offers are too low. Having a personal injury TRIAL lawyer represent you makes it more likely that your case will be settled. Most importantly, find a personal injury lawyer that you respect and trust because at certain points in your case you are simply going to have to trust your lawyer's judgment and have faith that he is looking out for your best interests.